I love tools, I'm sure some of you guys do as well. So this thread is for those things you couldn't do without. Next up is a recent one for me, my brake pipe straightener. If like me you are picky about wiggly brake pipes this is for you. Simple but so effective. One many will have seen, Irwin nut grips, worth their weight in gold! Finally one I bought the other day, spring pin punches. If you are stripping a BE gearbox these come in very handy, you will struggle with out them to be honest. That f***ing pipe straightener! You're a perv! Oh and not forgetting your fancy pants cable tie flush snipper things!!! That brake pipe straightener looks awesome. I need to do mine on my Goodwood so I'll be getting one, they are local to me too. I'll get another bigger one to do the fuel pipes too. Ah good point yes, I had forgotten about those and I would not be without them. Those come from when I used to work for a guy doing rally car prep, he was very picky about certain things, one of which was chopping the loose end off cable ties. If you do it with normal pliers or cutters it leaves a razor sharp "tang" sticking out which is usually conveniently placed to rag the back of your hands to ribbons just as you are reaching for that widget nearby, because the normal cutting jaws are ground with a bevel on both sides. Flush cutting nippers have the jaw ground totally flush on one side, so you can chop the tie off flush with the "latch" part. Expensive and MUST NOT be used to cut anything hard as it will mark the jaws, but ace for zip ties. Mine are 76 22 125 on this link. Flush cutting snips are a must for cable ties. Use them all the time at work - I hate catch the back of my hand on the bits when they are not cut flush. Expands the universal CV gaiters using the compressor. easier than using the cones. MUST NOT be used to cut anything hard as it will mark the jaws, but ace for zip ties. I find a Power probe a bloody useful tool, though its not used that much so I only got the PP2 not the bells and whistles PP3. Making brake pipes is a pain in the arse with a £20 tool, so I lurked on ebay for ages to buy one of these. there are a number of different dies they can come with and you can just buy the tool and specific die alone without buying the master kit which will save you a fair bit. 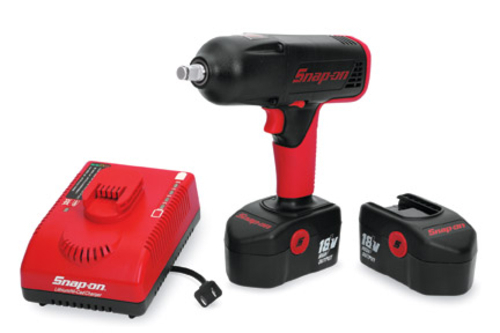 Does the jump in torque on an impact wrench make a noticeable difference to it's abilities? I see the Dewalt is around 400nm and the Snap On 475n,. I've got a 270nm wrench and it wont even undo wheel nuts! 2nd vote for the Irwin nut grips, they are very handy. My Dewalt will undo staked in driveshaft nuts so that should answer your question! The tight stuff needs a fully charged battery but thats no great hardship. Certainly does, I've used many even with a full charge will not undo driveshaft nuts or crank bolts, where my snapon will do most. I know, but its five times the price! Another vote for the dewalt impact guns, my favorite tool is the needle nosed belt file made by black and decker. Wicked little thing. Have to say this is another recent purchase that I do love, ideal for scrapyard visits or rally service. I love my wrecking bar, not on the 205, though! I'm off to find a darkened room, al this filthy tool talk is just too much !!! I quite like tools too. Difficult to pick a favourite, but one thing I really like is having the correct type and weight of hammer for a particular task. When I see people driving nails with an engineers ball pein hammer it leaves me a little agitated. Two bits of angle is how I used to do it. The pipe straightener is a more recent discovery! Snap on techangles are probably my favourite tools, got the 3/8 and 1/2 inch, bit pricey but when you use tools for a living there is no point scrimping.